Paul Hirst of The Times understands that Ander Herrera will leave Manchester United on a Bosman this summer after agreeing on a deal worth £200,000-a-week with Paris Saint-Germain. The 29-year-old will apparently join the French champions on a three-year deal, but United shouldn’t find it too difficult to replace the Spain international. An important member of the squad no doubt, Herrera starts in what I would describe as an average United midfield still in need of vast improvement. Nemanja Matic and himself are both replaceable in that trio, while Paul Pogba has the ability to win big games. Ole Gunnar Solskjaer does need characters like Herrera in his squad, though. The definition of a shithouse who knows how to get under people’s skin. He has played a key role in a number of big games for United, most notably against Chelsea when he man-marked Eden Hazard under José Mourinho. 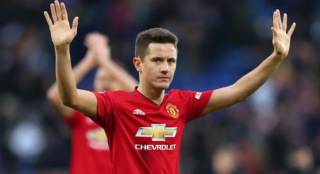 Herrera currently earns £80,000-a-week at United, according to the report above, which means he could more than double his earnings by moving to Paris. He has scored made 187 appearances for the club to date, scoring a total of 20 goals. It is also noted that Herrera initially wanted to stay at Old Trafford beyond this season. Talks broke down when his representatives were unable to reach an agreement with the club. PSG appear to be getting a good player but it’s unlikely that he will be a starter.